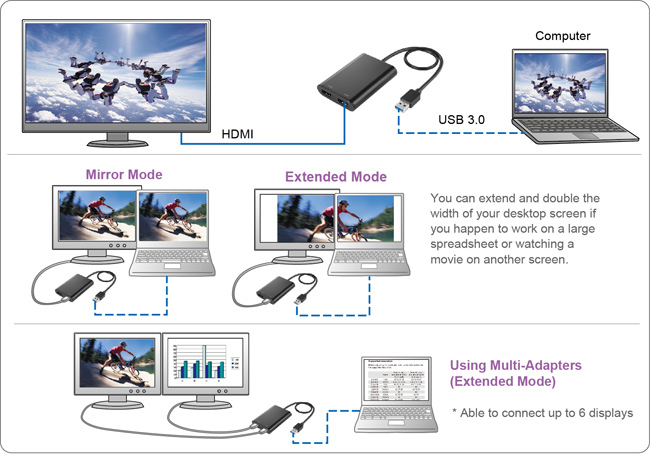 The USB 3.0 to Dual HDMI Adapter is a device which enables user to connect external display devices to a computer with USB 3.0 port. Once the driver has been installed, monitors will be enabled immediately. No need to reboot the operating system when adding or removing the USB adapter. 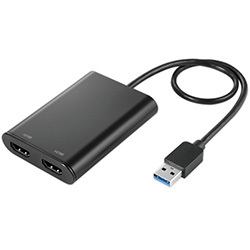 The adapter occupies little computer resource ensuring the user gets quality display without comprising computer performance.